The tail end of summer means the tropics are heating up and tropical storm and hurricane activity will start increasing. Check out the uptick in activity that we normally see each year in the image below. 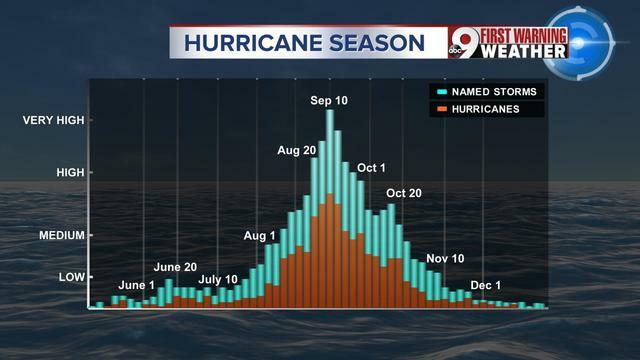 This data is based on the number of named storms and hurricanes over 100 years from the National Hurricane Center. Let's look at the main zone of development for tropical systems in August. The Atlantic basin, especially in the central and western waters, are the more frequent areas for tropical development. 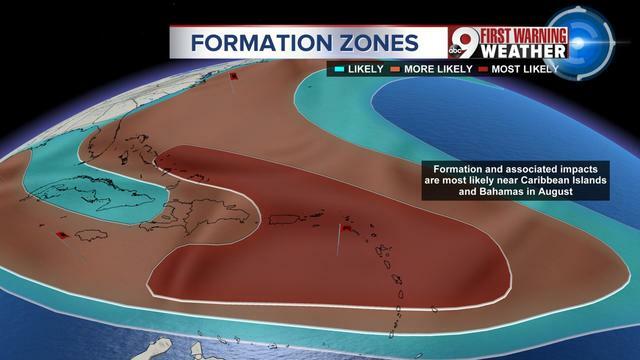 But the most likely area is focused around Puerto Rico, the lesser Antilles and up into the Bahamas. Now, let's talk about the main tracks these storms take after forming in hot waters. When you look at last year, we had two noteworthy storms follow the maps below but there's a third track as well. 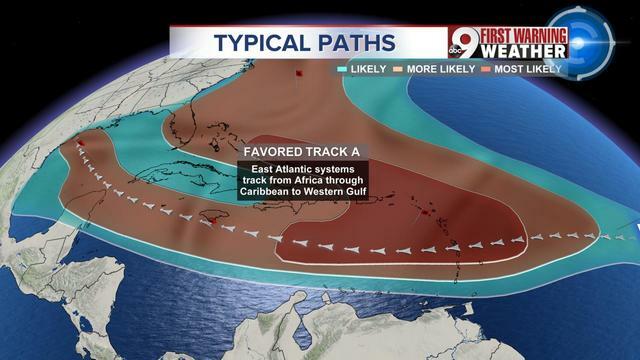 Track A: This most southern track goes south of Cuba before heading northwest toward Texas. This is just like the path that Hurricane Harvey, that category 4 hurricane, followed in late August 2017. 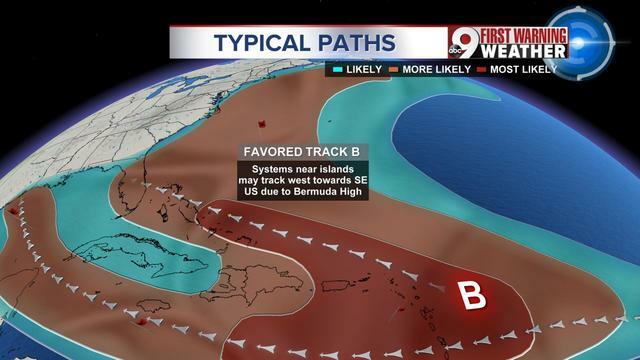 Track B: This hurricane track didn't make the news last year in August, but does result in tropical systems heading toward Florida. 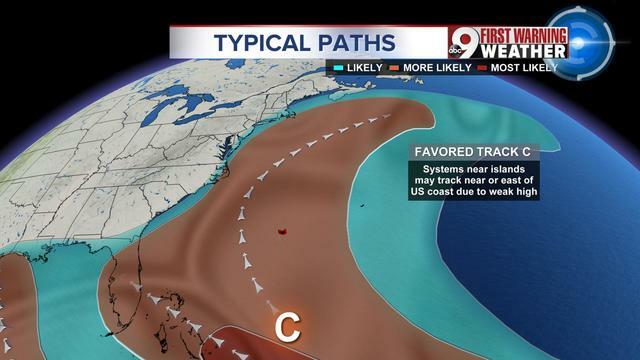 Track C: The final, favored track for hurricane movement in August is the one pictured below and the most northern track. It runs around the Bermuda High but generally these storms don't make landfall on the east coast. Instead, these storm system curve toward the US and back away from the coast as they travel more to the north. In 2017, Hurricane Gert followed this path in mid-August and just like this path, stayed out in the Atlantic and did not make landfall.